Glimmer Skirt https://www.review-australia.com/asia/glimmer-skirt-tea-rose/RE19SK048.REPNK103.html It's party time! The Glimmer Skirt is designed to get you in the mood for dancing and romancing. 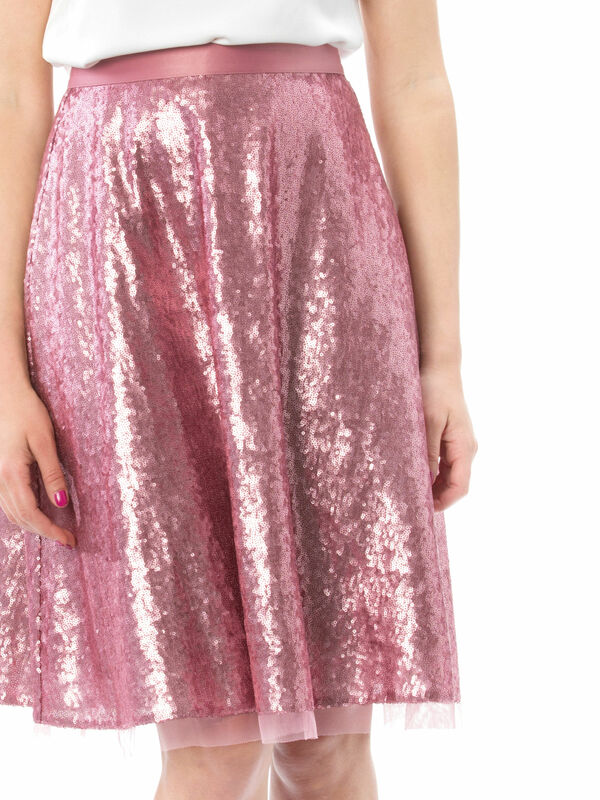 This skirt comes in a stunning Tea Rose colour featuring a sequin upper layer and a cheeky mesh underlay sitting under the hem. Flattering for all sizes, pair with a fitted shirt to create a classic feminine silhouette that's ready for the dancefloor! Worn with Montessori Top and Darcy Heels. It's party time! 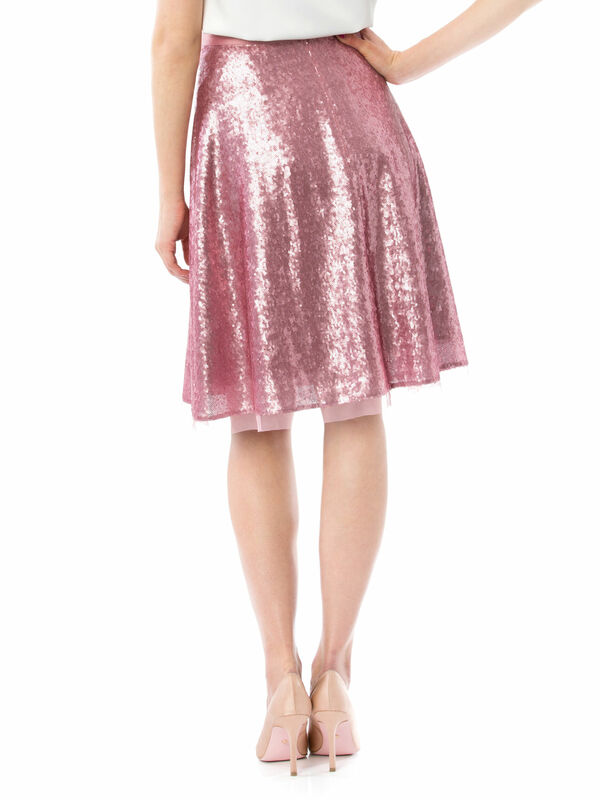 The Glimmer Skirt is designed to get you in the mood for dancing and romancing. This skirt comes in a stunning Tea Rose colour featuring a sequin upper layer and a cheeky mesh underlay sitting under the hem. Flattering for all sizes, pair with a fitted shirt to create a classic feminine silhouette that's ready for the dancefloor!